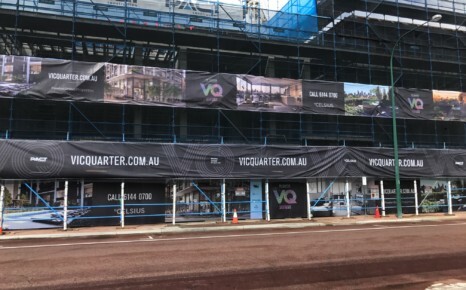 The Vic Quarter will be a landmark development in Victoria Park that will set a new standard for apartment living in the locality. The site could not be better located in terms of amenity within the immediate vicinity. 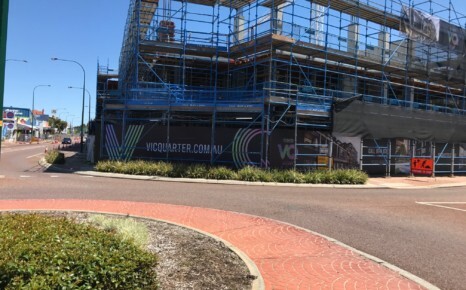 Within a 5 minute walk are the Victoria Park Hotel, Victoria Park Bowls Club, John McMillan Park, Victoria Park Library and Community Centre, The Park Centre shopping precinct as well as a number of shopping and entertainment opportunities along the commercial strip. Within a 12 minute walk is Victoria Park train station, Kent St High School and Swan TAFE and Curtin University is 3 minutes by car. 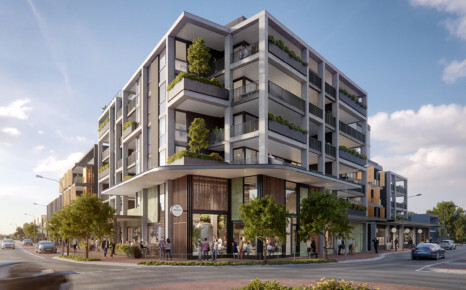 Hillam architects and Celsius Developments worked closely in conjunction with the Design Review Committee to progress ideas for the proposed development. 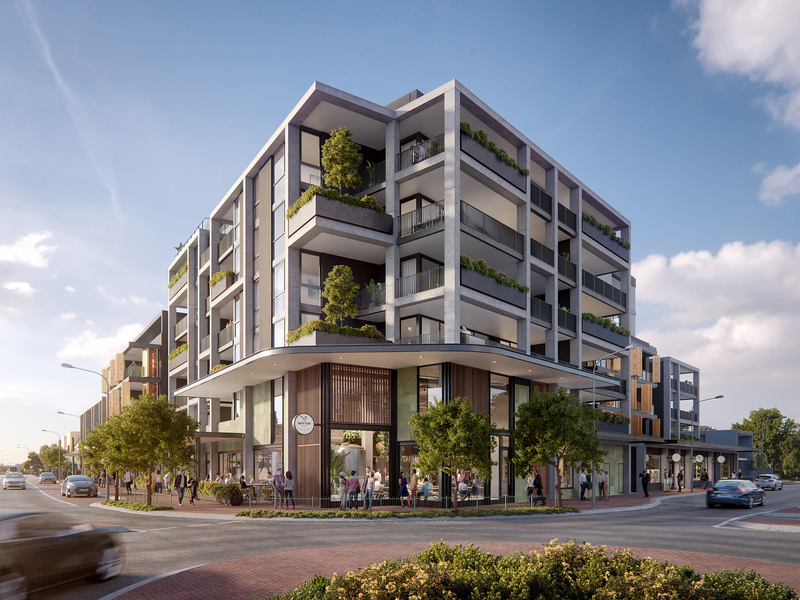 Through discussions with the Committee as well as an in-house urban design analysis for the site, a number of key themes were identified that formed part of the design response. In response to the significance of the site, the building was conceived as an iconic gateway building which would serve as a wayfinding point in both directions. 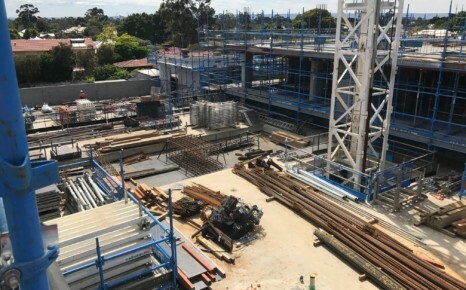 The building could then become a keystone for the developing District Centre serving as a catalyst for future development around the intersection progressing towards the desired future character. As such, the mass of the building was designed to increase toward the corner of the site. To be read as a wayfinding point, the building crescendos up toward the intersection creating a presence along both streetscapes. A double volume tenancy on the corner would provide activation at ground level along with public artwork and semi-public spaces. 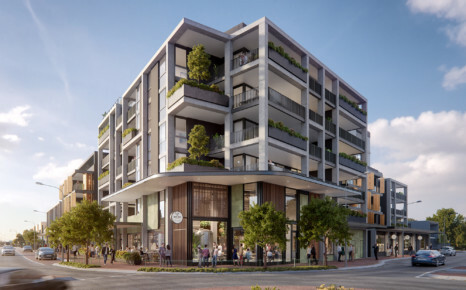 This tenancy will be the new Perth home of the Boston Brewery that is owned and operated by the developer of this property being the Fowler Group. 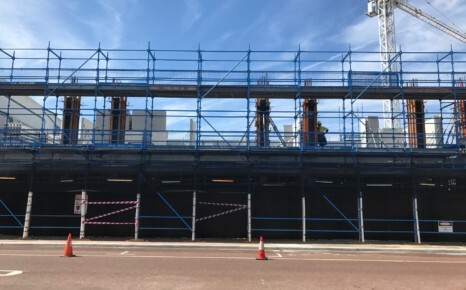 The upper levels of the building will consist of 105 apartments made up of 1, 2 and 3 bedroom formats as well as four exclusive Penthouse apartments offering fantastic views in all directions. Marketing of the project is estimated to commence in the second quarter of 2019 with completion due around September 2019.